Another week gone, but the season hanging on by a thread. Don’t believe me? The Islanders only sit five points out of the second wildcard in the Metro with 16 games to go. 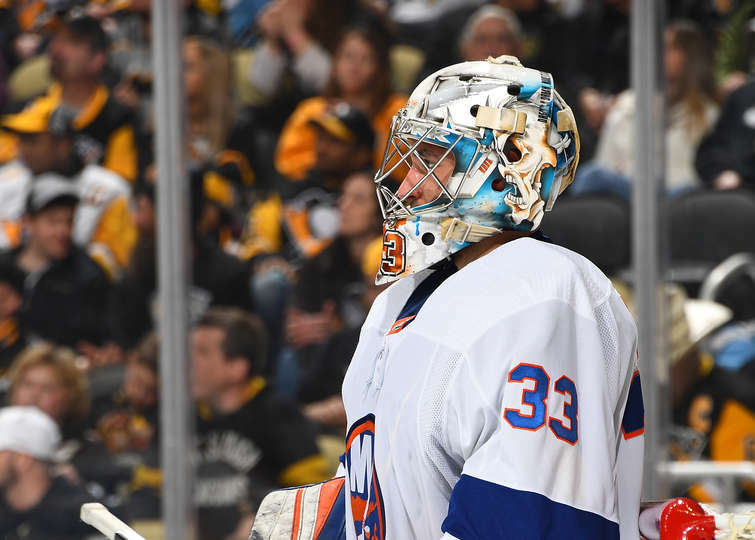 There were signs of life for the Islanders Saturday night in Pittsburgh despite the OT loss. And now in Western Canada for a three-game swoon, it’s once again do or die for the Isles. There’s always a few things during each week of the season that have an impact, and this week coming is no different. 1. Has the first line turned a corner? 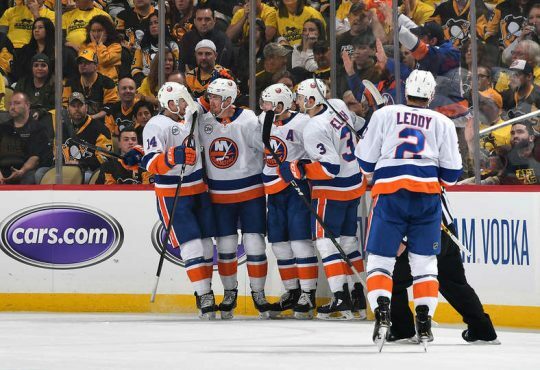 It was evident on Friday and Saturday, that the Islanders first line showed life for the first time in weeks. 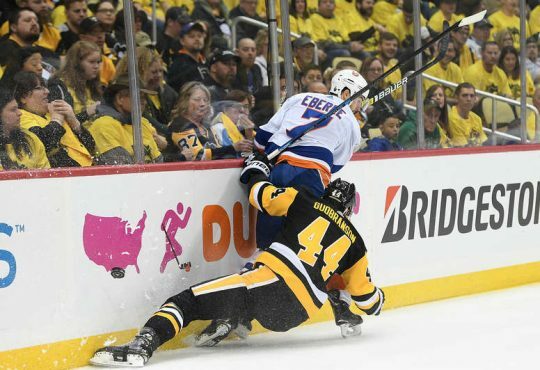 Josh Bailey found the back of the net after a short slump, while Anders Lee — who seemed to not score in quite awhile — got some puck luck in front of Penguins tendy Tristan Jarry Saturday night. John Tavares also notched his first point in five contests on the Lee tally. The trio of Lee-Tavares-Bailey had good zone time in both games this past weekend, and they all started to become more active on the power play. 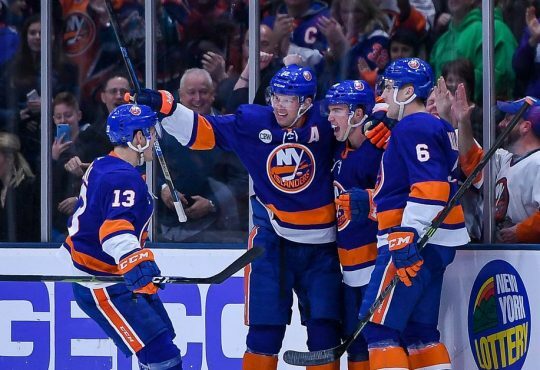 Now in Western Canada — where all three players have success in the past — the Isles need the first line to be at the top of their game if the Isles want to keep their slimming playoff hopes alive. 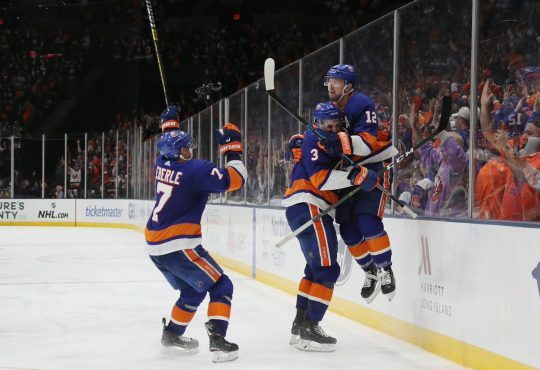 Going up against the likes of Connor McDavid, Johnny Gaudreau and Sean Monahan should also provide enough motivation for the Islanders first line to elevate their performance. 2. Can the penalty kill continue to make progress? The Isles penalty kill has been one of the biggest flaws all season. But in the past two games, they only allowed one goal on five attempts. That’s success no matter how you look at it, with how putrid the penalty killers have been all year long. New York is in luck this week with two of their opponents — the Oilers and Flames — sporting two of the worst power play units in the league. Over the past few games, New York have taken a step forward in allowing less shots and being more content defensively. If they can have the penalty kill just keep it simple, the Islanders will have a better shot at sustaining their stronger play. 3. Will Andrew Ladd wake up? First off, I’m one of the strongest supporters of Ladd since he’s arrived here in New York a year ago. Many fans and critics continue to point to his contract because of the team struggling so much the last two months. For me, Ladd is at his best when he’s given good players around him. Ladd finally recorded a point on Friday for the first time in many games. He has struggled since returning from injury, but he continues to play hard each night despite not producing points. The 32-year old was one of the key cogs that drove the Isles playoff push at this time last season, and now with the club playing games where he grew up and played junior hockey, maybe the light switch turns on for Ladd. This is the kind of stretch where the Islanders need their veterans to step up in the largest way, and it all begins with Andrew Ladd. 4. Will Christopher Gibson get a look as a possible future backup? There was a glimmer of hope for the fans and the organization after the performance Chris Gibson put on Saturday night. Yes it will go down as a loss in the record books, but it was a brilliant showing by Gibson — 47 saves on 50 shots — against a hungry, hungry Pens team. Gibson gave his team every possible chance to steal two points, and definitely earned more starts as the season winds down. Even with three games over a six-day period, Gibson, without question should continue to see playing time, especially with Thomas Greiss out. Nothing against Jaro Halak — who is a UFA once the season ends, but if this week decides the team’s fate for the rest of the next month, showcasing Gibson as a possible goalie for next season is the smarter decision. The AHL All-Star from this season, not only deserves to play, but needs to play. 5. Will the Islanders continue their strong play in West Canada? Over the past few seasons, the Islanders do seem to show up whenever the calendar turns to this time. Some players in particular — Andrew Ladd, Thomas Hickey, Johnny Boychuk, and even the new guys like Barzal, Davidson, etc. — all love playing where they grew up. Players always raise their game up for these dates. This time should be no different.